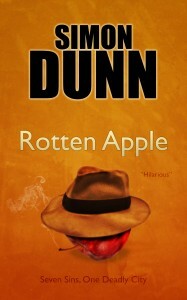 The hard-boiled detective, the down-to-earth stripper, the embittered hack, the mad psycho, the sultry brief, the gentleman thief – they all live in the Rotten Apple. But who is the mysterious new killer stalking through the seedy core of the city? Available now in paperback and for your Kindle.